We’re fans of theatrics, and masks are a surefire way to get yourself seen and your music heard. Leaving our closeted love of Slipknot to one side, we’d like to shine a spotlight on Redshape. 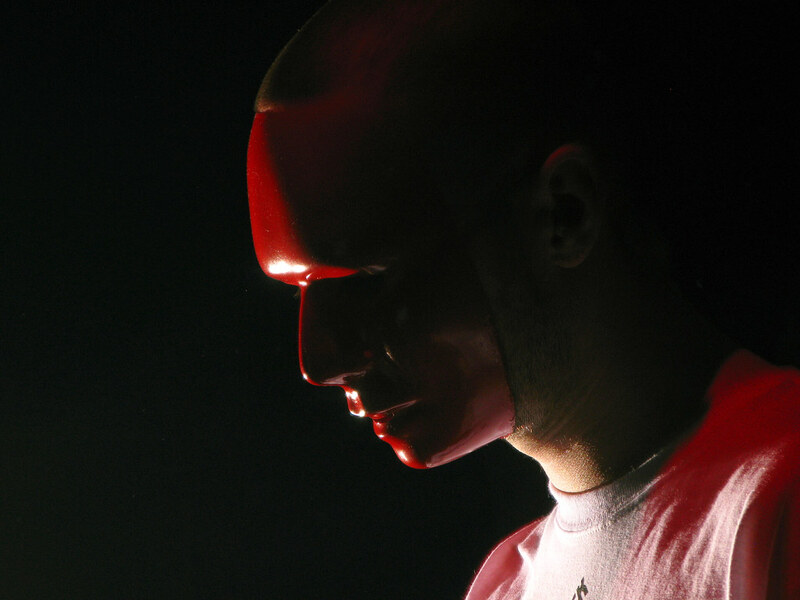 The Berlin-based techno head’s blood-coloured Michael Myers mask paradoxically marks him out against the city’s faceless producers and DJs, while maintaining an unsettling air of mystery. Redshape (AKA Sebastian Kramer) recently revealed a little of the man behind his mask, with an XLR8R podcast that largely eschews his trademark tough techno in favour of some less-obvious influences. Alongside Carl Craig classic “Sandstorms” and tracks from the artist himself and fellow Berliner Plastikman, are Brian Eno and DJ Shadow – whose cinematic works bookend the mix – and leftfield inclusions like a cheesy lounge take on Jean Michel Jarre from Señor Coconut and the RZA‘s “Samurai Showdown”, from the Ghost Dog soundtrack. In fact, one of the few things Kramer gives away is that he’s a film nut: both Eno tracks come from Music for Films and the Shadow numbers include samples from Heat and Network. We’re glad he could tear himself away from his Beamer long enough to lay down such an unexpected and delightful mix. Check out XLR8R Podcast 273: Redshape after the jump.